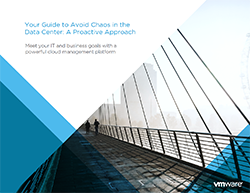 Download this report to find out how your company can battle the new sets of IT challenges and stay on top of diverse landscapes. As the emergence of big data and mobility trends have forced businesses to change their operational strategies, modern application architectures are increasing their prevalence in IT environments to help companies stay ahead of the game. Enterprises must provide on-demand resources to be able to quickly push new applications and updates to market, while also delivering on security, reliability, governance, and savings.